Question: Was I processing my own fears in this dream or are there other reasons for it? I am actually reluctant to report on it because some readers might again assume that this message is coming from a dark source etc.This is why I have been ignoring this dream for days. But since I’m constantly being reminded of it, it seems to be important that people hear about it and that this is incorporated into a message. ASANA MAHATARI: I bless you for pursuing this message! Your fears regarding your readers’ reactions are justified because confusion amongst warriors of light is huge. More and more people practice getting to the bottom of things, and they start seeing what is. The majority of beings of light, however, shy away from it because they consider these facts a menace to their intact world. Messages and dreams such as these don’t suit the views of a being that is blinded by the light-and-love-illusion. Acknowledging the dark, destructive and evil, perceiving it, seems impossible to many. Much more so when the topic is brought up by sources of light. So they assume that “messages” that talk about it are of dark origin. This is a statement and should in no way keep us from announcing what IS and making it available to people. How does this relate to your dream? The input you were given was an intention, a plan that is real and has already been actualized on another plane. On another earth just like this (catchword: ”holographic view of the world”; annotation JJK) these acts of war have already taken place. In your dream you were there. What does this mean for this earth, for this plane of your conscious perception? The conquest of Europe and the conversion into a caliphate will not happen! Even though there are signs and intents, people in Europe will know how to prevent it. However, there will come a time of turmoil and disputes. But it won’t last, and nothing will happen that would turn out to be disadvantageous for Europe. You were given this dream and my explanations so that people receive information about these plans and become aware that this project of the “dark side of power” is still receiving a lot of energy. It is still the professed goal of the Cold Race to alter Europe in that way. European Warriors of Light wake up! Manifest in your meditations and through your will the kind of Europe you want to live in! By means of decrees, deny all destructive energies, impersonated by humans and various other kinds of entities, access to Europe! Each individual human being who decrees to withdraw energy from this intent matters. In these past years of transformation, many of you have gained access to their inner power and have become familiar with the power of light of their being. The word “self-empowerment” is much talked about. Now you can emerge with it and create circumstances for yourself, your community, your country and your continent, which serve your continuing spiritual awakening. Decrees are not only of importance to your own life, but are above all a tool to bring sociopolitical actualities into being. Apply this tool if you want and ought to halt unwanted developments! The current intent to “take over” Europe is more than enough cause for it. Sociopolitical fights are steered by your consciousness and gain or lose strength by it long before they become apparent and get determined. Did you give your permission for this reconstruction of Europe? Were you asked? Decree to bring migration to Europe to an end, so that the Golden Age that was predicted to you can take form. Use your own words. Be assured that the collective will of mankind – your collective energy – is the most powerful means to impede destructive plans on a social level. Be aware that migration only serves those who want to disunite humanity and instigate discord between individuals. This is the meaning behind the dream that was brought to you and this message that was given to you. Don’t leave „politics” to those who neither serve this planet nor mankind. Take responsibility! Your place is in life – and your time is now. >>> German original: Lichtkrieger Europas wacht auf! The Light World Publishing House and the author do not engage in any correspondence whatsoever regarding the texts / messages published on this website. 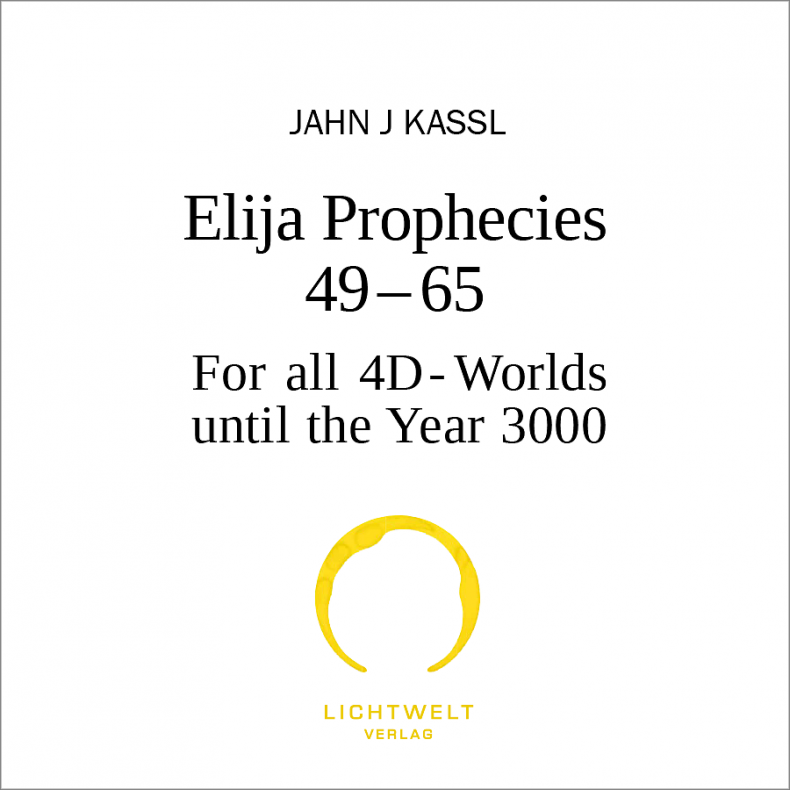 This entry was posted in Blog, Messages from All-That-Is and tagged Asana Mahatari,, Decrees, Europa, Golden Age, Light Warrios by Jahn J Kassl. Bookmark the permalink.